Every century since the Baroque era can lay some claim to having a European ‘golden age’ for the flute, but it was Theobald Böhm’s 1847 patented invention of a much improved system of keys and fingerings which at last provided flautists with the kind of flexibility long enjoyed by violinists. Influential flautist and educator Claude-Paul Taffanel (1844-1908) made the most of Böhm’s revolutionary design and is considered the founding father of the ‘French Flute School’ established by the turn of the century. 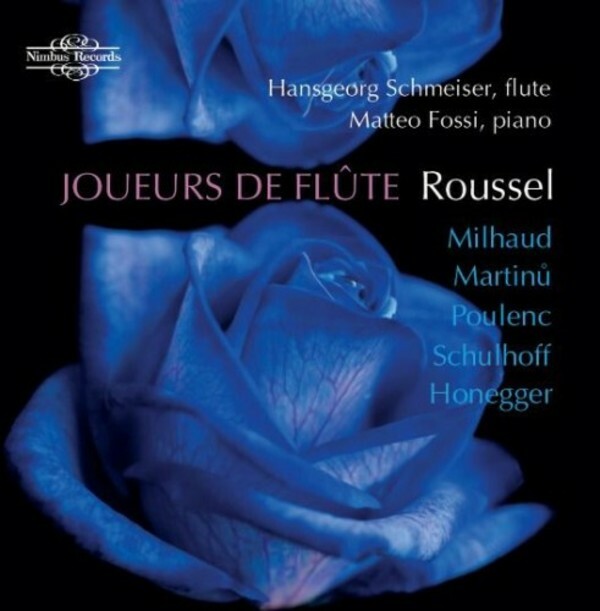 The outstanding expressive and technical prowess of flautists graduating from those classes at the Paris Conservatoire saw numerous composers paying the instrument serious attention in the 20th century, and even today you will struggle to find a leading flautist without a ‘six degrees of separation’ musical ancestry that is traceable to Taffanel. Hansgeorg Schmeiser began his music studies with Gottfried Hechtl at the Academy of Music in his home town of Graz. He followed this by studying with Alain Marion in Paris and Wolfgang Schulz at the Vienna Academy of Music, from where he graduated with distinction in 1982, when he was engaged as solo flautist at the Volksoper in Vienna. Since 1984 he has taught at the Vienna Academy of Music, now University of Music and Performing Arts in Vienna, as Assistant Professor to Wolfgang Schulz before becoming appointed a full professor responsible for his own flute class in October 2000. His busy programme of solo and chamber music work has taken him all over Europe and also to Japan, Taiwan and Korea, where he regularly gives masterclasses as well as making regular guest appearances with the Vienna Philharmonic.